I am a guy who was born and raised in Brooklyn, New York. There I helped to get Republicans elected. In a town that is 5 to 1 Democrat, that is no easy task. Yet, on many occasions I was successful at it. Over time I have migrated to New Jersey. Here too, getting a Republican elected can be an uphill battle but as a campaign manager for the New Jersey Republican Assembly and Senate Republican campaign committees I successfully helped to elect red candidates in a dark blue state. My life revolves around politics. Not the game of it but the policy and sincerity of public service that is often overlooked in politics. Health considerations have held back my political activity over the last year but better days are ahead. During this 2008 election cycle I have been fortunate enough to actively assist the candidates of my choice in the primary process. When not involved in real politics or the online politics of U4Prez.com, I spend my time with my partner Nick. He is a DJ and artist…..a starving artist, with talents that far exceed the deserving financial profit that any mere mortal could possibly make. He is also the most generous, considerate and at times dizzying guy that one could ever know. I often take him for granted but I also know that my life would be empty without him. In general I am no one special. I am a person who owes a great deal to others. Like my parents, two of the hardest working and most loyal, dedicated and caring parents that a son could have. They have sacrificed much of their own lives for mine and I only hope that someday I will make something of the life they have given to me and repay them for all the love they invested in me. Many people choose their U4Prez screen name for many different reasons. I have chosen mine to honor an individualwho reflects the integrity and direction that I wish to bring to politics. 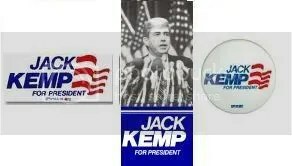 My user id is taken from the name of Jack F. Kemp, a man who is more than a politician but an inspiration. 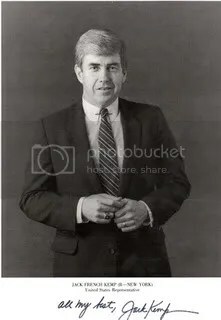 With sincerity in public service and purity of purpose Jack Kemp will always remain an example of what we need more of in today’s political leaders. As a young man Jack F. Kemp spent 13 years in professional football, playing quarterback for the San Diego Chargers and Buffalo Bills. He led the Buffalo Bills to the American Football League championships in 1964 and 1965 when he was named the league’s most valuable player. He also co-founded the AFL Players Association and was elected it’s president for 5 consecutive terms. After a period working for the Reagan gubernatorial campaign in California during 1966 and as special assistant to Reagan when he was Governor, Kemp in 1969 worked for the chairman of the National Republican Committee. In 1970 Kemp was elected to Congress where he represented the people of Buffalo, New York in the state’s 38th district and served their until 1989. In Congress Kemp became increasingly interested in economic ideas and was a keen supporter of supply-side economics and especially of large cuts in direct taxes, which he argued, would pay for themselves. Kemp was also a strong and vocal advocate of deregulation and enterprise zones. In 1978, together with senator Roth of Delaware, Kemp sponsored a 30 percent across the board tax cut which was in large part enacted in the 1981 Reagan budget. 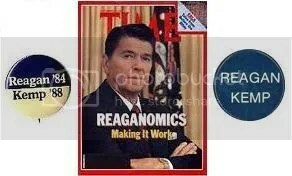 It is said that he sold Reaganomics to Reagan. Kemp’s vigorous promotion of supply-side economics made him a well known, if not controversial, politician and earned him a popular following among the Republican rank and file. On cultural issues Kemp was highly conservative and was a strong opponent of abortion rights. On matters of foreign affairs, in a debate with Mario Cuomo, Kemp said of himself, “I am not a hawk but actually a heavily armed dove”. In 1988 Kemp made a brief bid for the Republican presidential nomination. He was unsuccessful but in 1989 President George H. W. Bush appointed him to be Secretary of Housing and Urban Development when he formed his administration. In this role Kemp was perceived by many as a maverick rather than a collegial member of the administration. Yet he successfully implemented many policies and programs which won over friends and foes alike. One of Kemp’s most effective creations was the introduction of urban enterprise zones. 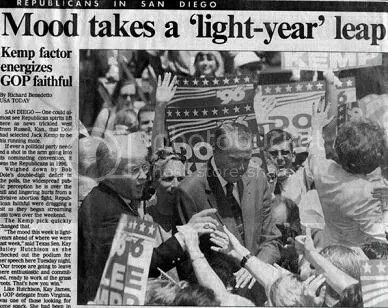 With his maverick image the selection of Kemp as Robert Dole’s running mate in 1996 was something of a surprise, not least because Kemp and Dole had policy disagreements in the past and had been rivals in 1988. Dole had generally been skeptical of massive tax cuts preferring to emphasize deficit reduction but the electoral dynamics of 1996 converted Dole to the merits of tax cuts. In this context Kemp was an ideal vice presidential choice. He symbolized vigorous tax cuts and was able to generate enthusiasm among Republican activists. Kemp was well known nationally because of his football career and visionary economic and defense policies; and it was hoped that Kemp’s energetic style and manner would balance Dole’s age. Dole may also have hoped that Kemp would lure Democrats and uncommitted voters into the Republican camp. 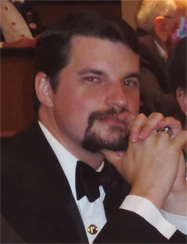 Michael Duminiak is a strict constructionist Republican residing in central Pennsylvania. He attended the Pennsylvania State University graduating as a member of the Psi Chi national honor society. He currently works as a consultant for an international engineering firm working primarily on government related projects. He is an active member of his community involved in multiple local organizations and serving as a Fire Police Officer. He was recently the Republican nominee for Mayor of Port Matilda, PA and is currently serving as one of Penssylvania’s elected Constables. I feel like you guys can go far with your own blogging site. If you ever need helping getting one and setting it up, feel free to contact me! Personally I’m rooting for Ron Paul. Info & Contact in the link! I appreciate your kind words and your informing me about the messy layout through Opera. I am not exactly tech savvy and know little about that stuff, but it really annoys me to know that the site is not displaying as I want it to on all systems. One of our writers is quite computer competent and I will ask him if there is any way he might be able to rectify the situation. Again, thank you. I really like what you post here. Very insightful and intelligent. One problem though. I’m running Opera with Debian and parts of your current layout pieces are a little wonky. I realize it’s not a typical set up. Yet it’s something to keep in mind. I hope that it will help and continue to keep up the top quality writing. Bacusky…Thank you for your kind and encouraging words. 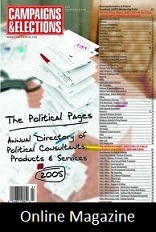 I will do my best to be sure and place my main, daily post on Politics4All. I looke forward to getting involved on thatg new and promising platform. As for New Jersey, teah there are a few of Republicans still here. And we will be waiting to see how Republican Chris Christie is. Found your great post on Politics4All.com. Please keep posting your blogs there. Don’t have time to go from one to the other and there I at least can keep up to date. Glad to see that there are Republicans in NJ (my home state). Had an uncle who was almost run out of time when he ran for city councilman in the 60’s on the Republican ticket. Thanks for putting me on your blog roll. Is there any way I can send you a private message? Had a question for you. Good blog, Kempite. I’ll put you on my blog roll. hahaha…Thanks, Maditude. Catch you soon.